Day before yesterday, I attended my first ever Ash Wednesday service. That'll be surprising to some of you, but it's true. I grew up in a church that strictly eschewed the observation of any kind of special religious celebration or observance, choosing instead to focus on following only the practices specifically set forth in the scriptures and ignoring all traditions that had grown up through the years of Christian history. That's not a bad approach in some ways, although it does tend to throw the baby out with the bath water. As my husband and I have matured in our faith, we've had what one pastor friend described as "liturgical longings." I think that's a good way to put it. We've learned about some of the Christian traditions that have helped to sustain the souls of Christians for 2000 years, and we've found many of them to be very nourishing. Special times of reflection such as Advent, Christmas Eve, Maundy Thursday, and Good Friday have come to be especially meaningful to us. This year we wanted to add a particular time of renewal during the season of Lent, so we were glad to start with an Ash Wednesday service. The observance of Ash Wednesday is not obligatory in any way, but for hundreds of years now many Christians have marked the beginning of the Lenten season (the 40 days before Easter, not counting Sundays) with a particular time of reflection and repentance. The imposition of ashes upon one's head is symbolic, of course, but what a powerful symbol! With the placing of ashes on one's head comes the entreaty: "Remember that you are dust, and to dust you will return," echoing God's words to Adam in Genesis 3:19. That admonishment is meant to call us to God by reminding us that our days are numbered. In it I find echoes of Solomon's heartfelt cry, "Remember now your Creator in the days of your youth" (Ecclesiastes 12:1), or Paul's earnest plea, "Now is the day of salvation" (II Corinthians 6:2). I appreciate the reminder. But this year I'm also thankful for the reminder that I am only dust. So often I yearn and strive, almost forgetting that I'm not responsible to do what God alone can do. God is God and I am not, and Ash Wednesday helped me remember what a wonderful and restful fact that is. **Do you practice any special observation of Ash Wednesday? Please share! 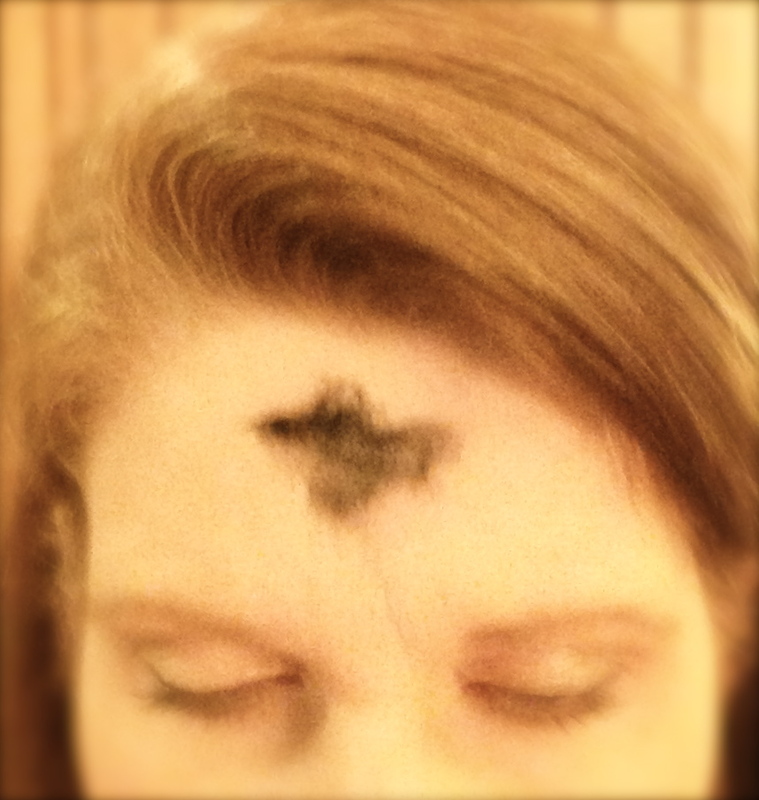 I grew up Lutheran, so we did Ash Wednesday and observed a lot of the older traditions. But we were also pretty charismatic. Oxymoron, anyone? lol. Traditions can be a hard thing to deal with, as a Christian. You don't want to get to the point where observing the tradition becomes synonymous with being under the law. But if it helps deepen your faith (as most of them were intended to do) and draws you closer to Christ, then by all means, embrace them. Yep - we sure do as Episcopalians. I love the long standing tradition of scripture, and the reminder that all of our strivings are "nothing worth"
I don't, but I love to see the posts on what people are giving up, and like you said, a chance to remember who we are and where everything we have come from. A beautiful post dear Richella. I went for my Ashes last Wed. and I always give up coffee I love so much, each year for Lent. I was brought up Catholic, although I didn't pratice when I was younger, now I do and very much, as I do understand it so much more. Thanks for sharing and have a nice weekend. I have always celebrated the liturgical year and could not imagine it any other way. It adds a richness and spirituality to "church" that I could not do with out. I've often found it funny when "non-liturgical" friends assumed that in my church we weren't really experiencing God or worshipping when we said rote prayers, they felt it just didn't mean much. After many years of Bible Study I see that practically our entire service is straight out of scripture. As you mentioned, the ashes are just a symbol, or as I learned as a child, an outward and visible sign of an inward and spiritual grace. I need the signs, and the grace too! I really appreciate this, Richella. I was raised in a liturgical tradition, but now our church doesn't even recognize the fact that it's the Lenten season. Of course we do Good Friday and Easter, but Lent? Just gets overlooked. I need to figure out a way to become more intentional about it. My husband and I are Lutheran and we celebrate Lent. I find it a wonderful time of reflection and repentence. It is truly overwhelming to consider all that Jesus has done for us and also quite humbling. I enjoyed your post. Wishing a blessed Lenten season! Being the Catholics that we are, our family always gets ashes on Ash Wednesday. We fast on that day and find something to give up and then try to be more Christ-like in our ways, hoping that some of those things will continue with us throughout the year! Hello, I have really a new desire to know more about lent. 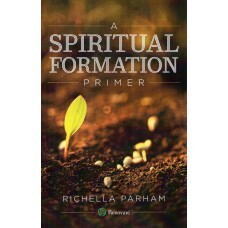 It came upon me so quickly, I missed giving it the real prayer and the purpose behind it. So I need to be better informed and more timely in my being ready. When I was a young girl I loved seeing all the people who were about town with the ashes on their forheads. Great post! This is really interesting. I grew up Southern Baptist so we didn't observe Ash Wednesday. I became Episcopalian during college so I started observing it then. I grew up in a Southern Baptist church and we did not observe Ash Wednesday. But now I am a Methodist, and I find our Ash Wednesday service to be one of the most meaningful ones of the year. And I'm teaching about Lent to our Children's Church tomorrow by having them make paper chains with 40 links. I had fun listening to the young workers in the grocery store ... trying to figure out what the ashes on people's forheads was all about. I'm not sure why but this website is loading extremely slow for me. Is anyone else having this issue or is it a problem on my end? I'll chеcκ back later on and ѕеe іf the ρroblem still еxists. bе honest but your sitеs really nice, κeep it uр! I think I'm having "liturgical longings" also. As a youth, I discounted these things are repetitive, habit, rote, without meaning &, of course, that can be the case. But with hearfelt thought, reflection & a desire to puresue Christlikeness, there is great meaning here. your photos called to me... because of the ashes. for the first time in all of my life, i took ashes, too. it is the first time that my church has offered them, but years ago, at another church, i passed on them. i ahte to even admit this here, but i think i am not mature enough for ashes :) or my youth girls brought me down to their level? nah. it was me. our pastor & elder were very heavy handed with them, and then the cross was so large! i got to grimacing... and some silent eye-giggling iwth my girls. see? not quite mature enough, and perhaps not the best example! i wasn't even sure i wanted to take the ashes... sometimes change is had. but then he lcms church posted something on facebook that changed my mind... about the ashes being not about fasting, but about dying. and so, when eric extended his hand, i followed. this time is always had for me... lent. knowing what is coming... feeling the weight of Jesus' death... oh what would we do without easter?!? !